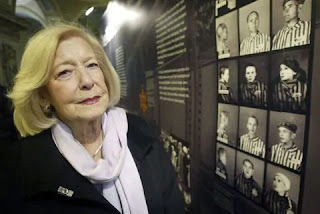 Holocaust survivor and memoirist -- via the Washington Post. She stood with others in a gas chamber at Auschwitz. Something went right and they were spared. She nursed Anne Frank as she died.